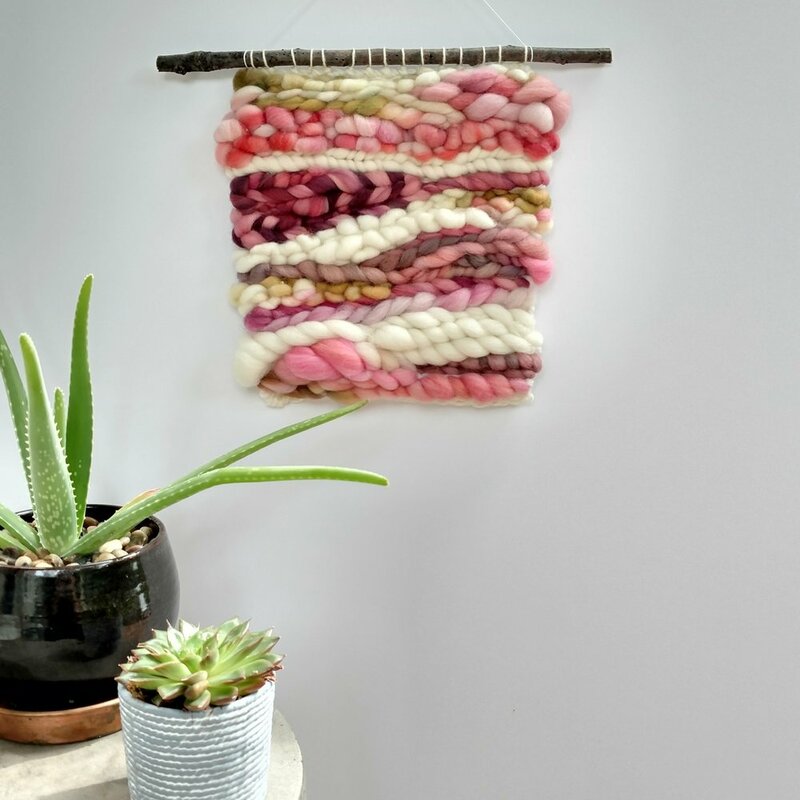 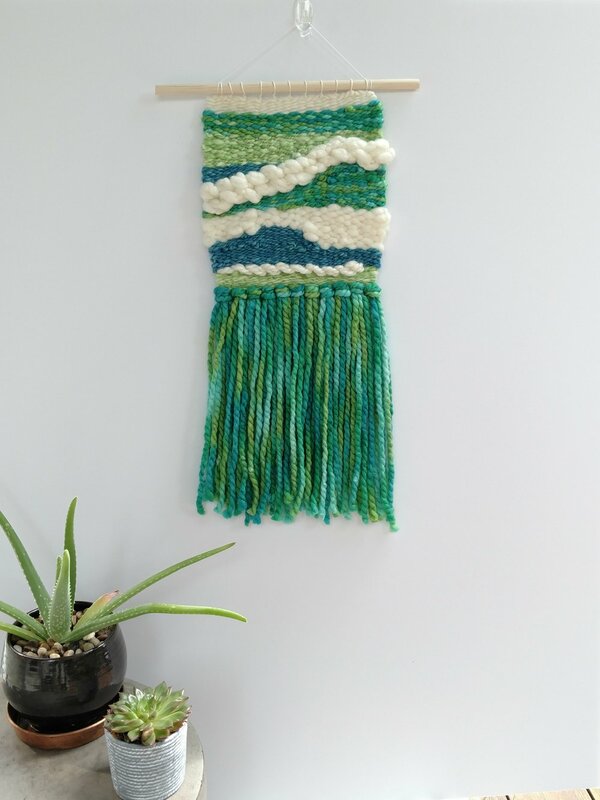 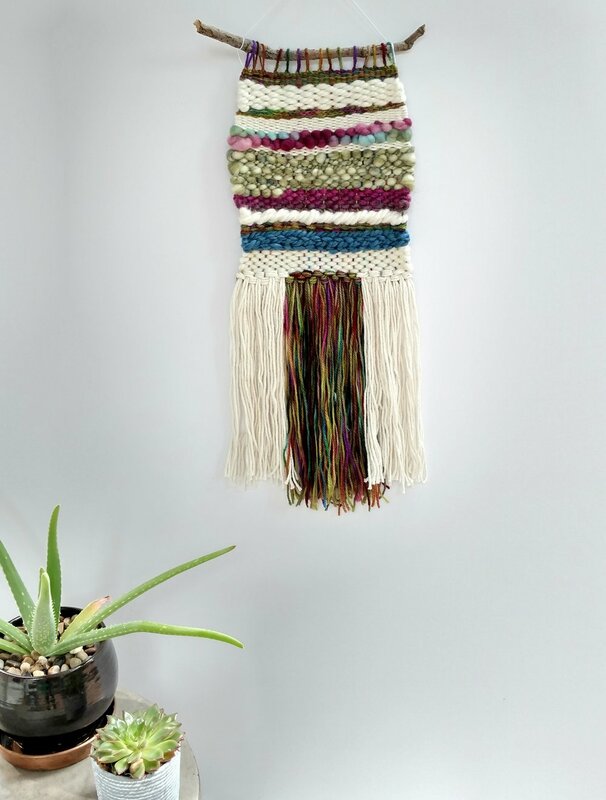 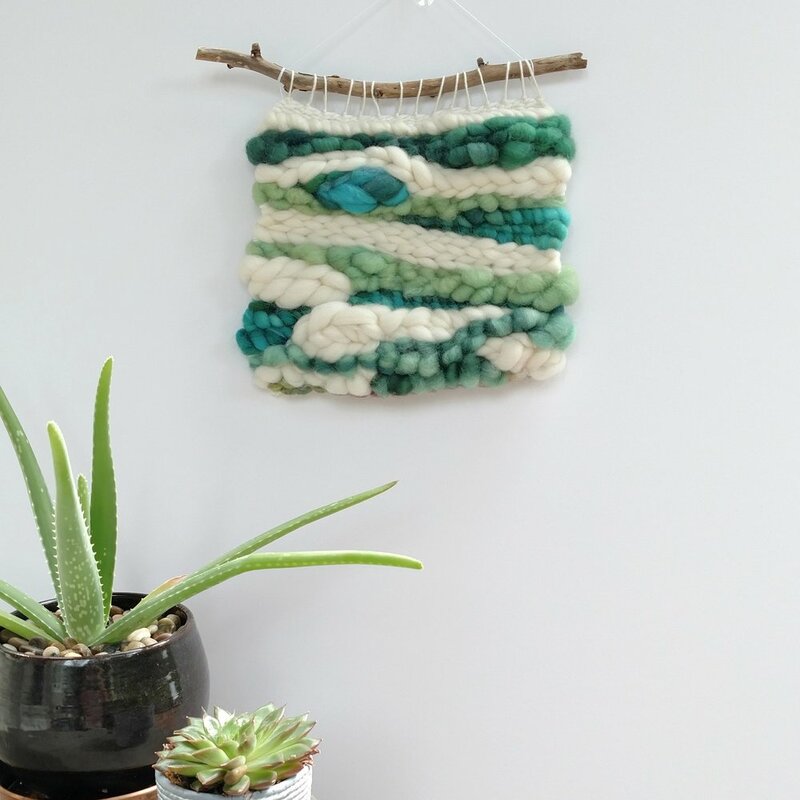 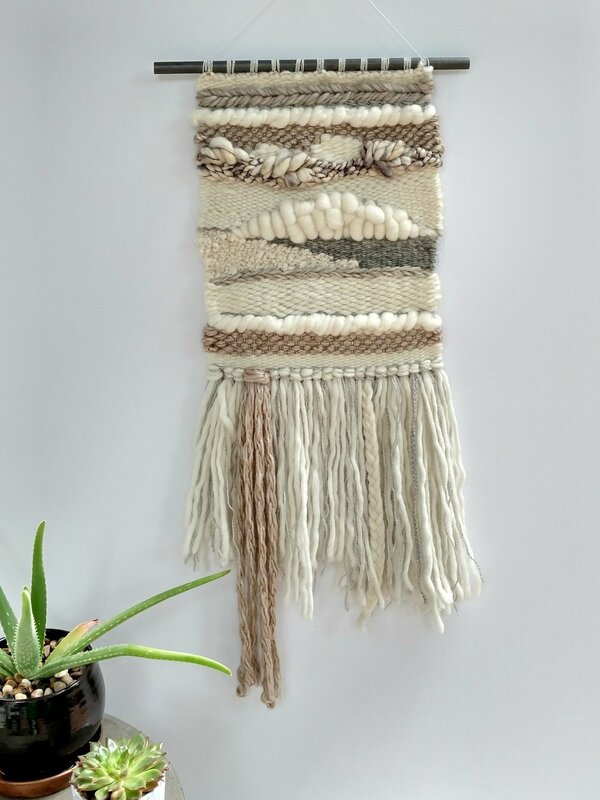 In these wall hangings, yarns and fiber interweave together, color and texture grow into organic forms that interact and create touchable, luxurious art. 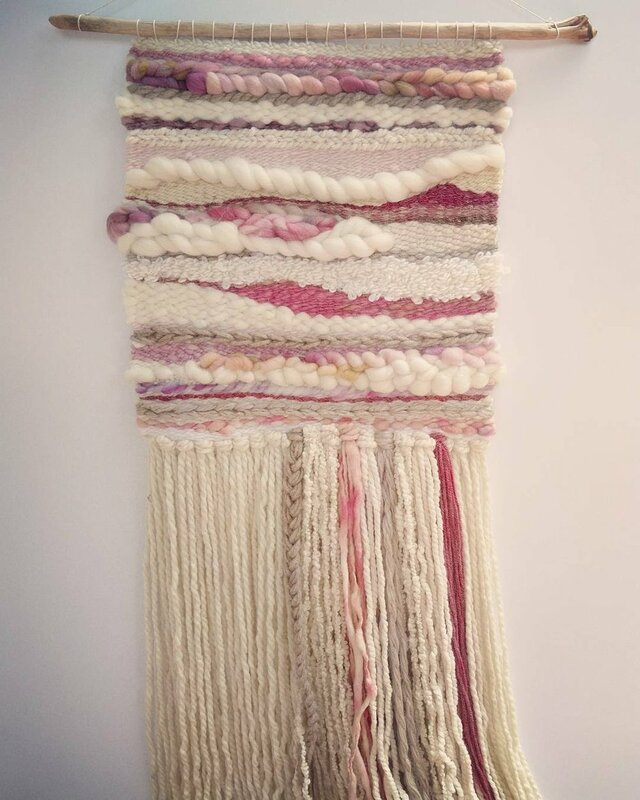 As I weave freeform, using hand-dyed fibers and hand-spun yarns alongside commercial yarns, no piece is the same as any other, and the work grows organically as it's woven. 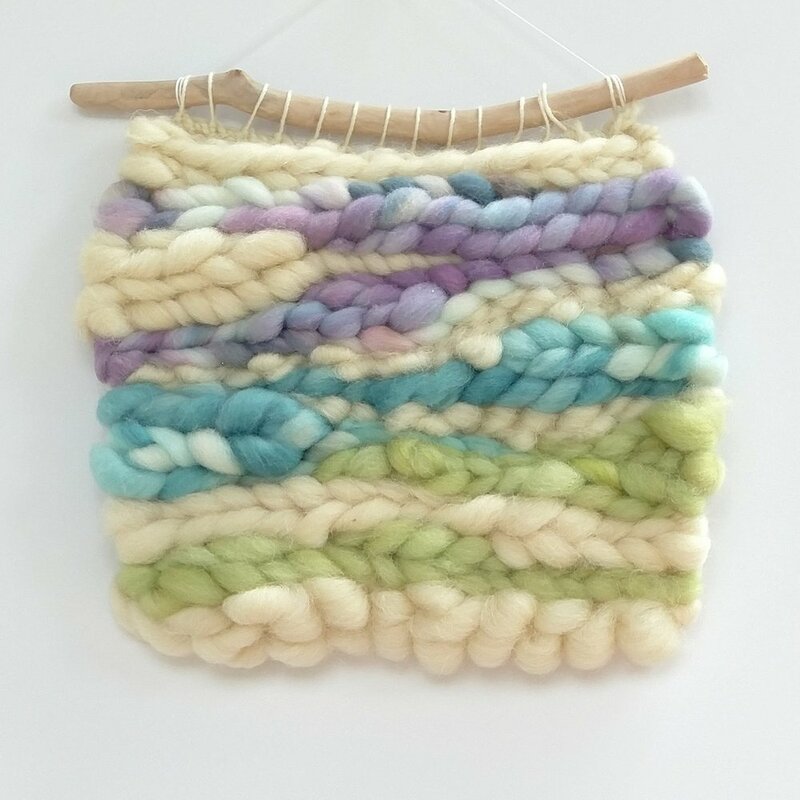 While each piece is unique and cannot be exactly replicated, I do take commissions, with requests for custom colorways and moods. 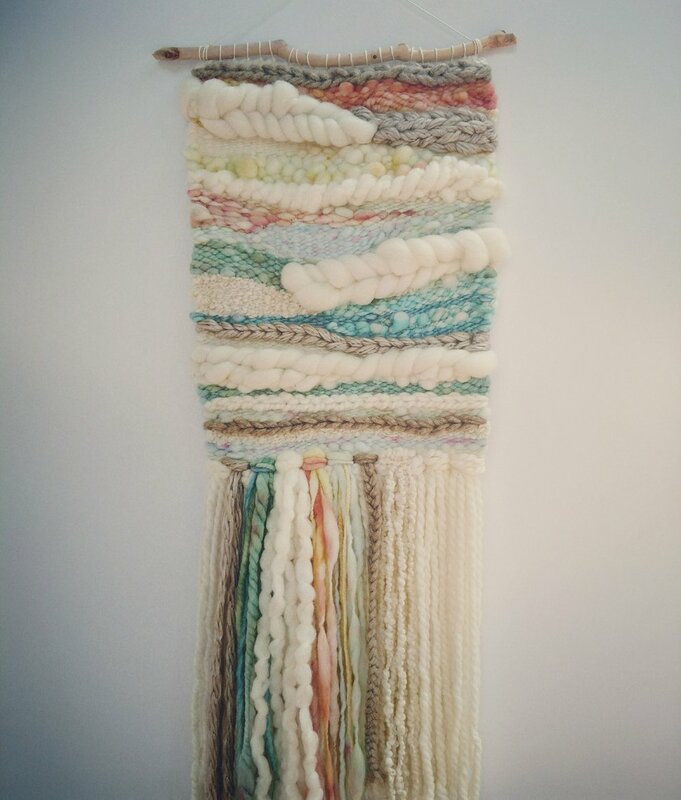 Pricing is available upon request and based on size of the piece. 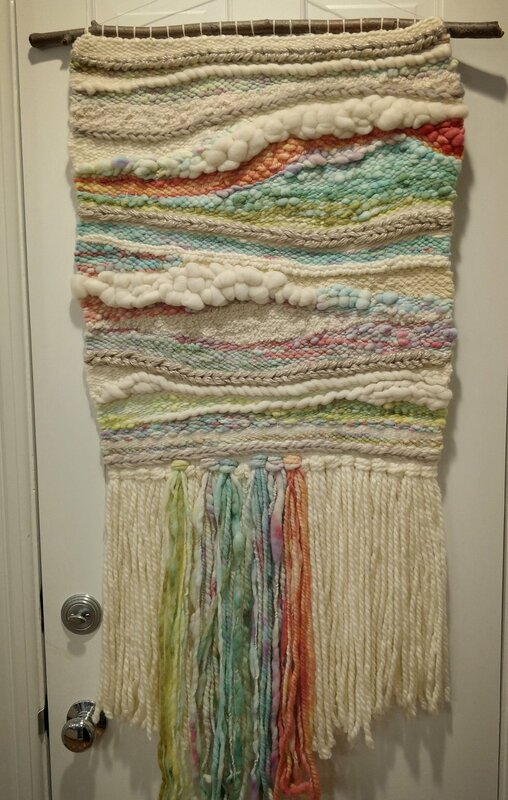 This gallery is a collection of some of my favorite previous works. 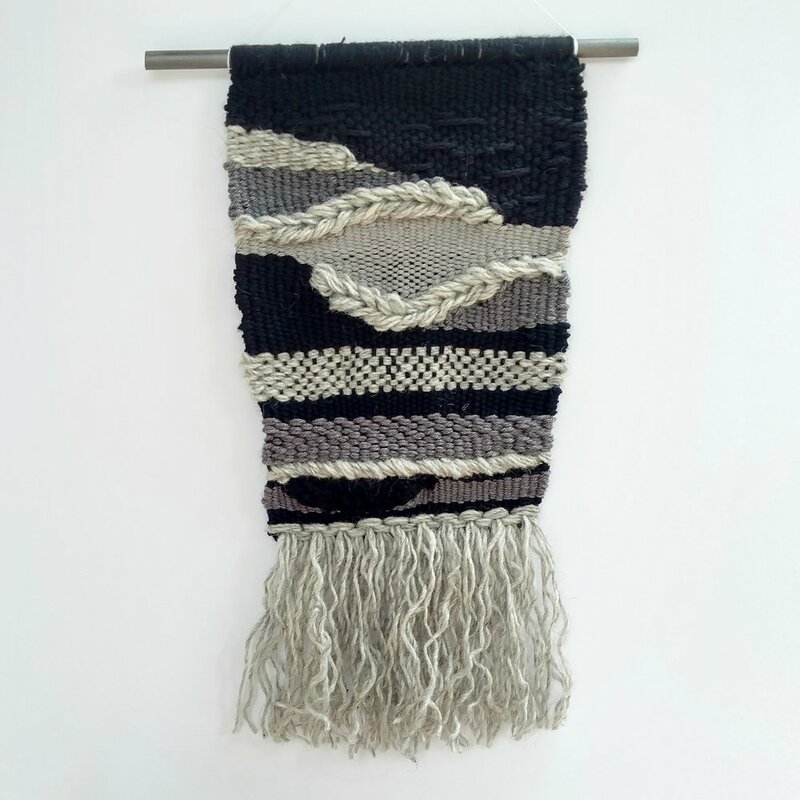 To shop currently available works, click through below.